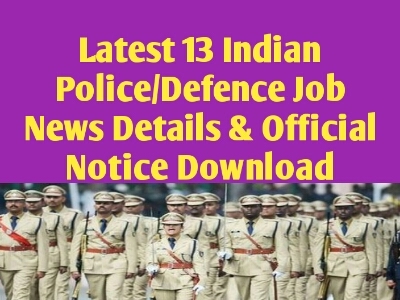 Are you looking for Indian Police/ Defence job news in details? Then here is the best place for you. Here you can know about details of Indian Police/ Defence Job news and also download their Official Notice. Most Of The Students want to Job Indian Police and Defence lines. Every month Recruitment News is release. Here, We provided daily Job news update of any Government job. Mainly, we update all India basis Job news and only West Bengal state job. So, Interested Students read the post carefully.